“The story behind one man’s letter from inside a Japonese Canadian internment camp”, (by CBC Radio). 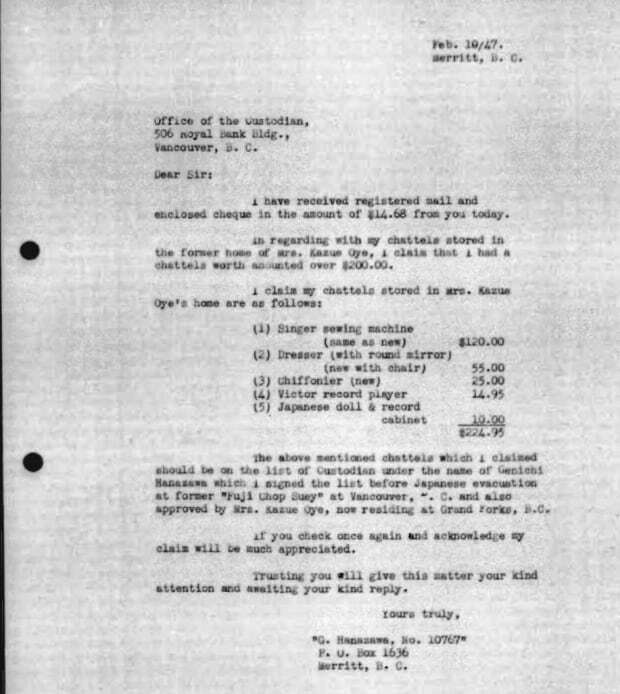 “It’s one of 300 such letters discovered in a federal archive written by Japanese Canadians protesting the sale of their homes, businesses and heirlooms while held in internment camps during the Second World War”. Geniche Hanazawa’s letter to the Office of the Custodian disputing the sale of his family’s furnishings and personal belongings (Landscapes of Injustice). “Yami no Ichinichi – o crime que abalou a colônia japonesa no Brasil”, dirigido por Mario Jun Okuhara, 2012.